A healthy lifestyle helps us serve others. Sandy Branch sees her role in fulfilling that service. Origin Story: Inspired by a sermon at her church, Sandy Branch decided that becoming a personal trainer would fulfill her part in making sure people are healthy to do their part in serving the community. Even more specifically, Sandy herself has always been athletic. "I'm hyperactive, and need to keep moving," she says. Putting the inspiration together with her own abilities and interest, Sandy set out to build a career in fitness. Personal Trainer Career, Up and Running (really! ): Her focus is on older adults. She taught one person how to walk again. She also loves running. She enjoys helping beginning runners and encouraging people who aren't enthusiastic about running get into running. 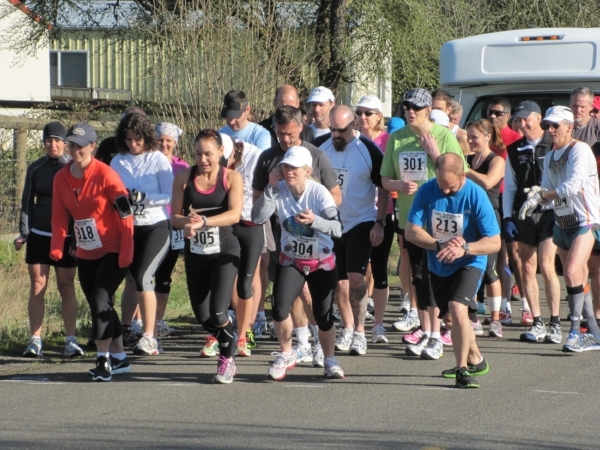 She co-founded the Molalla Running Club a couple years ago. 1. Ask what kind of certification they have. 2. As their client, you will most likely have something you want to focus on. What is their niche? Do they work with diabetics? Seniors? Find out who specializes in what. 3. How professional are they? Do they follow through? Are they on time for your appointment? Are they focused on you or their phone? Want to work with Sandy? If you live in the Molalla, Oregon area, contact the Molalla Running Club. She teaches senior fitness at Northwest Fitness and Strength, also in Molalla.